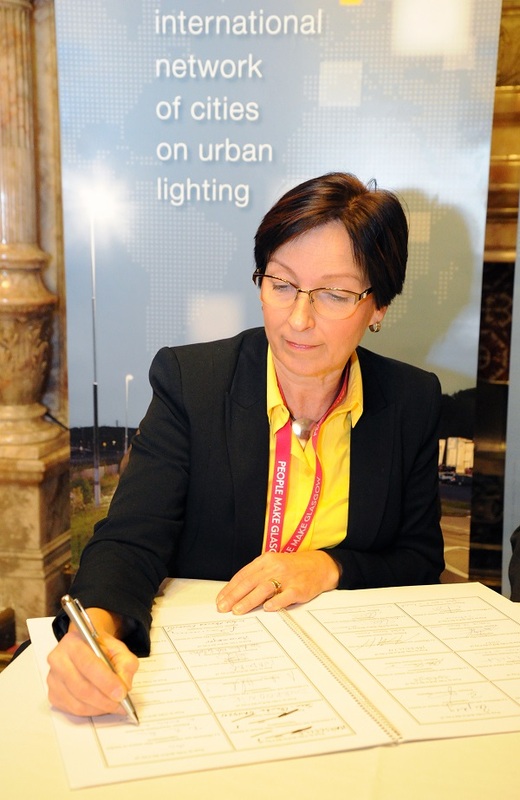 Elected representatives from the Danish municipality of Albertslund and the Finnish city of Oulu signed the LUCI Charter on Urban Lighting on the 12th of November 2015 during the City under Microscope in Glasgow. 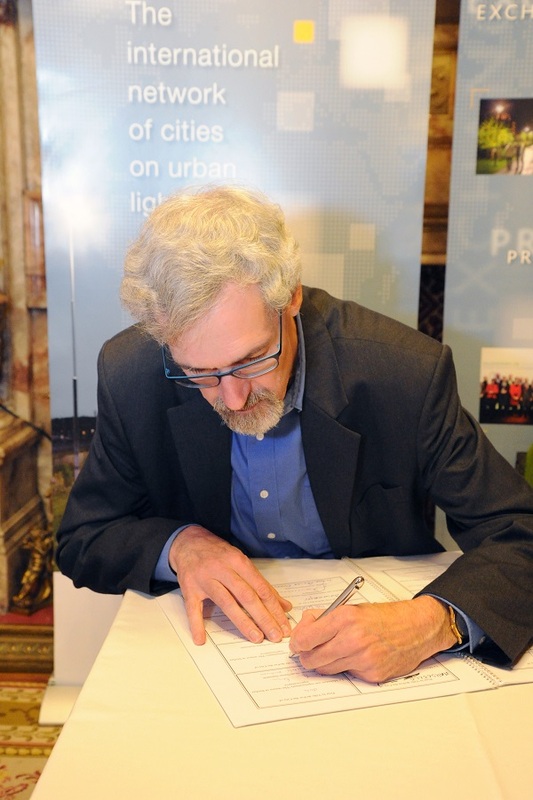 Almost 50 municipalities worldwide have now signed the LUCI Charter, which brings cities together around common principles in lighting and marks the LUCI network’s commitment to sustainable development. “Sustainable lighting, i.e. 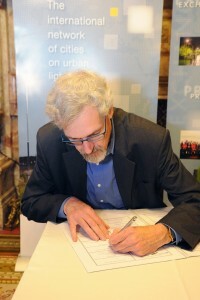 better lighting with lower energy consumption that creates a safe and comfortable environment for citizens, is a key priority for us in Albertslund,” said Flemming Jørgensen, Municipal Councillor of Albertslund as he signed the Charter. “We are also keen to work on some of the cultural aspects addressed in the Charter such as strengthening city identity by developing special lighting for key structures and events. Our involvement in the LUCI network, with its mix of people, cultures and new ways of working has been a great source of inspiration,” he added. 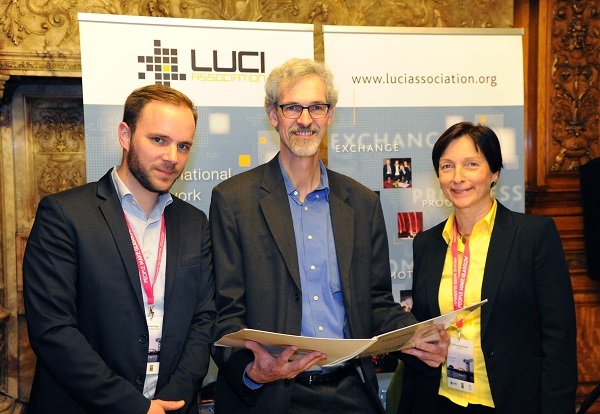 For the City of Oulu, one of the newest cities in the network, the LUCI Charter reinforces its commitment to use urban lighting as a key element in its city development strategy. “One of the most important aspects of the LUCI Charter for us is the emphasis on using light to build the urban and cultural identity of the city. We have been doing this for a while now – the Valoa Oulu light festival, which will be taking place for the third time this year, is a part of our strategy to use light to make the city a better place for citizens and tourists, especially in the winter,” said the Deputy Mayor of Oulu Piia Rantala-Korhonen. The LUCI Charter on Urban Lighting addresses challenges common to all: energy efficiency, improvement of the quality of life, maintenance, recycling, light pollution, the cultural and social dimensions of lighting, etc. It provides a reference framework within which towns and cities can develop their own lighting strategies.